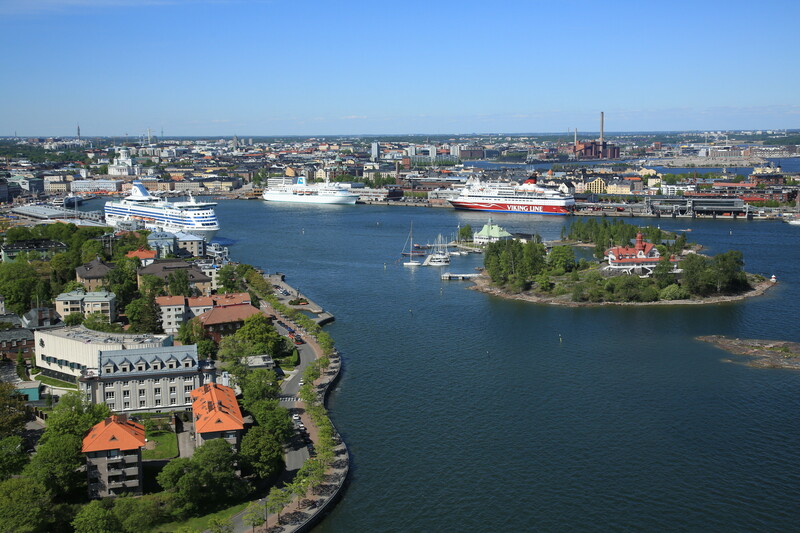 One day of tutorials and two days of talks, open discussions, and statistical modeling in beautiful Helsinki, Finland. (c) Visit Helsinki / Jussi Hellsten. Stan (http://mc-stan.org) is a probabilistic programming and statistical modeling language used by tens of thousands of scientists, engineers, and other researchers for statistical modeling, data analysis, and prediction. It is being applied academically and commercially across fields as diverse as ecology, pharmacometrics, physics, political science, finance and econometrics, professional sports, real estate, publishing, recommender systems, and educational testing. If you have questions regarding registration, payments, travel, please email stancon.helsinki2018@tavicon.fi. Tutorials on Wednesday 29th August, will be at Aalto University Otaniemi campus (Maarintie 8, Espoo) at 13min metro ride away from the Helsinki city centre. StanCon 2018 Helsinki will take place 30-31 August at Aalto University Töölö Campus (Runeberginkatu 14-16, Helsinki) in the proximity of Helsinki city centre. 08:30 - 10:00 Basics of Bayesian inference and Stan, part 1 Jonah Gabry & Lauren Kennedy. Hall AS2, 2nd floor. 08:30 - 10:00 Stan C++ development: Adding a new function to Stan, part 1 Bob Carpenter, Sean Talts & Mitzi Morris. Hall TU1, 1st floor. 10:30 - 12:00 Basics of Bayesian inference and Stan, part 2 Jonah Gabry & Lauren Kennedy. Hall AS2, 2nd floor. 10:30 - 12:00 Stan C++ development: Adding a new function to Stan, part 2 Bob Carpenter, Sean Talts & Mitzi Morris. Hall TU1, 1st floor. 13:00 - 14:30 Hierarchical models, part 1 Ben Goodrich. Hall AS2, 2nd floor. 13:00 - 14:30 Ordinary differential equation (ODE) models in Stan Daniel Lee. Hall TU1, 1st floor. 15:00 - 16:30 Hierarchical models, part 2 Ben Goodrich. Hall AS2, 2nd floor. 15:00 - 16:30 Productization of Stan Eric Novik. Hall TU1, 1st floor. 16:30 - 17:30 Model assessment and selection Aki Vehtari. Hall AS2, 2nd floor. Location: Aalto University, Töölö campus, Runeberginkatu 14-16, Helsinki. Nokia hall. Bruno Nicenboim The implementation of a model of choice: the (truncated) linear ballistic accumulator. Leo Egidi, F. Pauli & N. Torelli	Are shots predictive of soccer results? Gertjan Verhoeven	Does accounting for an artificial turf advantage in Dutch football increase predictive accuracy of probabilistic models? van Erp, S., Oberski, D. L. & Mulder, J.
Moreno-Zambrano, M., Grimbs, S., Ullrich M. S., & Hütt, M.
Solonen, A., Laine, M. & Haario, H.
Veen, D., Egberts, M.R., Veen, D., van de Schoot, R. & van Loey, N.E.E. Zhang, Y. & Gillespie, W. R.
Sundin, I., Schulam, P., Siivola, E., Vehtari, A., Saria, S. & Kaski, S.
Sairam, N., Schröter, K. & Kreibich, H.
Can predicting data improve model interpretation and inferences? Using Stan to fight the assumption of independence. Bartoš, F., Lukavský,J. & Děchtěrenko, F.
Vasishth, S., Mertzen, D. Jäger L., Gelman, A.
Siivola, E.	Weber, S. & Vehtari, A.
van Kesteren, E. Oberski, D.
Winkelbeiner, S. & Homan, P.
Conference dinner will be on Thursday evening (included in the registration fee). In this tutorial we will first review some of the foundational concepts in Bayesian statistics that are essential background for anyone interested in using Bayesian methods in practice. Then we will introduce the Stan language and the recommended workflow for applied Bayesian data analysis by working through an example analysis together. Since we only have 1/2 day for this tutorial it will be beneficial for participants to have at least some previous experience with statistical modeling, but prior experience fitting Bayesian models is not a requirement. This session will be helpful preparation for anyone interested in attending the afternoon session on hierarchical modeling. We will be interfacing with Stan from R, but users of Python and other languages/platforms can still benefit from the tutorial as all of the code we write in the Stan language (and all of the modeling techniques and concepts covered) can be used with any of the Stan interfaces. Hierarchical models are and should be the default way to conduct a Bayesian analysis. By hierarchical Bayesian models, we mean any generative process where the distribution for some unknown depends on one or more other unknowns. This includes instrumental variables, interaction terms, hierarchical shrinkage priors and many others. However, the most common instance of a hierarchical model is one where the generative process allows some of the parameters to vary by group, which can be conveniently specified using the syntax of the lme4 R package. In this tutorial we will start with estimating and interpreting estimates of hierarchical models using the stan_glmer function in the rstanarm R package, proceed to the brm function in the brms R package, and finish with some examples where participants modify or write code in the Stan language to specify a hierarchical model. Stan C++ development: adding a new function to Stan (morning half day), Bob Carpenter, Sean Talts, and Mitzi Morris. This tutorial will prepare you to submit your first pull request for Stan’s C++ libraries. We will cover all of the steps required to add a new function with analytic gradients to the Stan language, including creating the issue, branching in GitHub, code organization and style, unit testing, continuous integration, code review, API and user-facing documentation, and merging. In addition to the process, we will survey the math library, including scalar and matrix data types, automatic differentiation, and template traits and metaprograms. This tutorial will cover the usage of the ordinary differential equation (ODE) solvers from within the Stan language. It will be a hands-on session where we’ll learn to specify ODEs as functions, the use of the ODE integrators, and practical tips on packing and unpacking the arguments to the function. This tutorial is meant to be hands-on. Please be familiar with running Stan models from the interface of your choice. It will help to know the difference between arrays of real and vector types (see Ch. 26 “Matrices, Vectors, and Arrays”). We all love Stan for its expressivity and flexibility, and for making state-of-the-art NUTS sampler available to a broad community of statisticians, econometricians, pharmacometricians, data scientists, and many other quantitative analysts. What we don’t love is munging and mapping data into Stan, slowly iterating over many models, and deploying models into production for use by non-specialists. Integrating a robust Bayesian workflow from research into production is not trivial but it is extremely rewarding as it puts the product of our work in the hands of people who need it most. Many organizations have started doing this with Stan and there are some patterns of use as well as anti-patterns that are emerging as a result. In this session, we will present several approaches to productizing Stan and discuss their strengths and weaknesses. In this tutorial I will review estimation of predictive performance of models in M-open seetting where we assume that none of the models is the true model. When we don’t trust our models, we can re-use data as a model-free proxy for the future data distribution. To adjust for data re-use we use leave-one-out cross-validation for exchangeable observations, K-fold cross-validation for group exchangeable observations, and m-step ahead validation for time series. I present how these performance estimates and related predictive distributions can be used for model comparison, averaging and checking. I discuss fast importance sampling approximation including useful diagnostics. Finally I discuss relations to alternative methods for model selection and weighting. Tutorial demonstrations are based on R with rstan, rstanarm, brms and loo packages. In order to facilitate a welcoming environment for all attendees, StanCon 2018 will enforce a code of conduct. Generous contributions from our sponsors ensure that our registration costs are kept as low as possible and allow for us to subsidize attendance for students who would otherwise be unable to attend. If you’re interested in sponsoring StanCon 2018 Helsinki, please reach out to stancon2018helsinki@mc-stan.org. For other questions regarding StanCon Helsinki, please email us at stancon2018helsinki@mc-stan.org.